Dr. Morton is a Board Certified Plastic Surgeon with an M.D. from the Indiana University School of Medicine in Indianapolis and a Bachelor of Science in Chemical Engineering from the University of Colorado School of Engineering and Applied Science in Boulder. Dr. Morton completed a Categorical Surgery Internship as well as a residency in General Surgery at Fitzsimons Army Medical Center in Aurora, CO. Following this, he completed a Plastic Surgery residency at the University of Louisville in Kentucky. 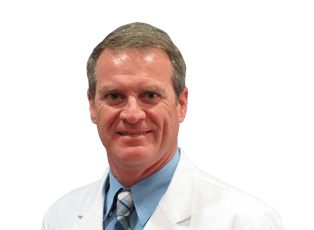 In addition, Dr. Morton has also undergone training while serving in the military, including serving as the General Surgery Chief at the Ireland Army Community Hospital in Fort Knox, KY and as a plastic surgeon at Walter Reed Army Medical Center in Washington, D.C. Currently, Dr. Morton is married and has four children. In his spare time, he enjoys skiing, sailing, climbing, and hiking.